I'm a little surprised that in the wake of the Boston Marathon bombing, The Reluctant Fundamentalist's release date wasn't pushed back a few months, as it tells the story of terrorists kidnapping an American professor in Pakistan. It was definitely interesting to see America's prejudice towards Muslims and other people of color through a Pakistani's eyes, post-9/11, but others may not particularly feel like seeing a movie like this with the events in Boston fresh in our minds. The movie is worth seeing, but runs a little on the slow side, which may deter some people from enjoying it; I in particular sometimes have issues with slow-paced movies. Changez, pronounced "Chan-GHEZ" (Riz Ahmed) is living the American dream. He moves to the U.S. to pursue a Princeton education, and then snags a coveted spot as an analyst at a top New York firm, where he works for Jim Cross (Kiefer Sutherland) who quickly promotes him to an associate. He meets and falls in love with Erica (Kate Hudson), a photographer and artist, and he wants to plan a future with her. After 9/11 happens, however, he must deal with much prejudice; on the way home from a business trip with Jim and another colleague, he is pulled aside at the airport and taken to a back room, where he is strip-searched. In another situation, he finds his tires slashed and has an expletive said to him by a white man. Changez soon finds himself disillusioned with America, and he quits his job and moves back to Pakistan, since his work visa is no longer valid. 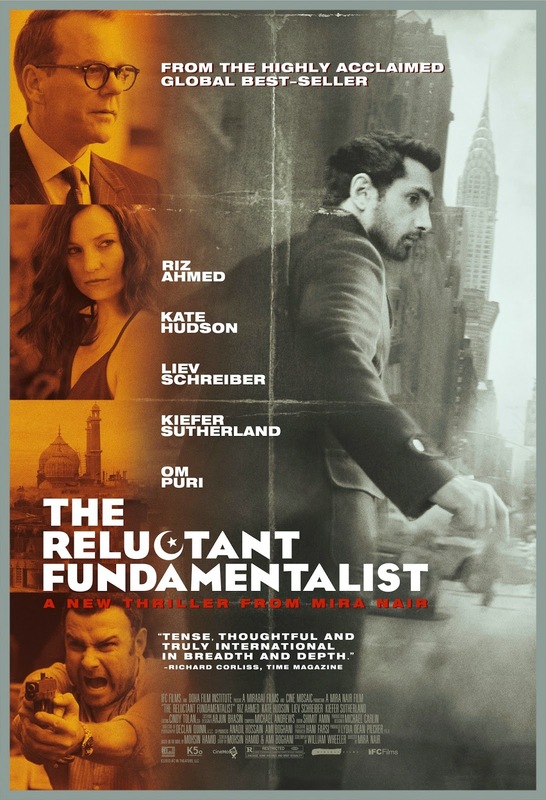 The Reluctant Fundamentalist opens in 2011, ten years later, with Changez now working as a professor, with Bobby (Liev Schreiber) questioning him as to his involvement, if any, with the kidnapping of one of Changez's colleagues, an American. The people that Bobby work for believe that Changez or his family is involved in the kidnapping, and Bobby tries to talk to Changez, who ends up telling him his entire story. I thought this film was very interesting, but also very slow. It's crazy to see how quickly Changez's life changes after 9/11 - he goes from working at a top firm and being very respected to quitting his job and moving away - and how he was treated while living in America after that day. Kiefer Sutherland and Kate Hudson have good supporting roles here, as well, although Hudson is barely recognizable, with brown hair and a little bit of weight gain. Maybe see this film. It falls into one of those strange categories where it will get a good star rating from me, but receives a Maybe rather than a Yes, because of its slow pace and runtime. It's an indie movie so it may be hard to find, as well, but if you can stand slow movies, I would recommend seeing this one. 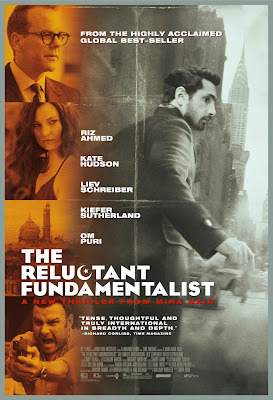 The Reluctant Fundamentalist is in theaters today, May 10th, and is rated R with a runtime of 130 minutes. 3.5 stars out of 5.